Do you wake up every day with a searing pain in the heel or arch of your foot? Do you then hobble about your morning routine, waiting for the pain to subside? Ouch! Looks like you’ve got plantar fasciitis. Plantar fasciitis occurs when the plantar fascia (a band of tissue that extends from the heel to the toe on the bottom of your foot) becomes irritated and inflamed, causing heel pain. It is a common symptom of overtraining and can severely hinder your athletic abilities if left unaddressed. While plantar fasciitis is painful, the podiatry team at BOSIC can treat it fairly easily. From getting you fitted with the correct shoes to preparing a fitness program tailored to your needs, the expert podiatrists at our footinjuryclinic will get you back on your feet in no time. BOSIC’s next door neighbour, The Space Studio, is opening its doors to you – literally. All BOSIC clients get 50% off an Introductory offer which allows you to try the Studio for two weeks of unlimited classes for just $25! Use it or lose it by 5th April 2018. Go to The Space Studio’s timetable. Select the class you would like to commence your 2-week pass. Enter the promo code HEALTH50 on checkout to receive 50% off. The Easter holidays are right around the corner. A good time to take a break, relax and rejuvenate. But if you’ve hatched a plan to eat all your kids’ Easter eggs (Mmm, those Lindt chocolate bunnies! ), better read this 4-Point Plan to curb those unhealthy Easter Egg-stravagances. Make it a Good Friday: (and Saturday, and Sunday.) Start each holiday with a protein-rich breakfast – yes, real eggs instead of chocolate ones. 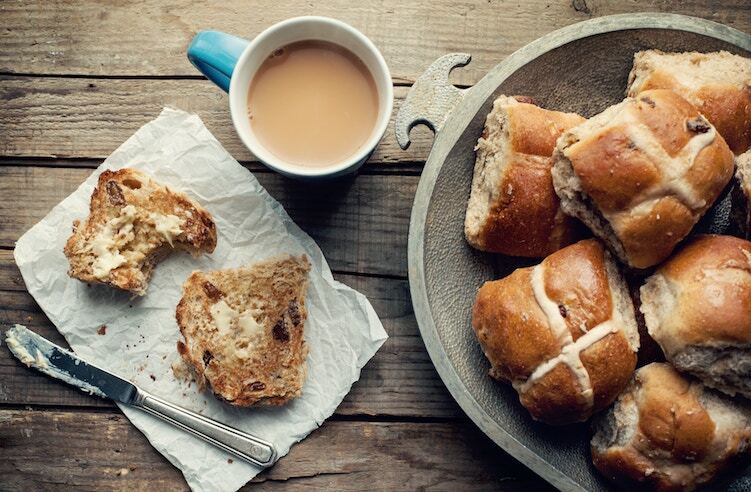 Foods like hot cross buns are full of sugar and processed carbs, making your blood sugar spike and then drop sharply. Choose healthy snack options like a handful of nuts, veggie sticks with hummus, a protein shake, or cheese with an apple every time you feel the munchies coming on. Portion Control: The holidays are not an excuse to go overboard. Yes, you’re probably going to have a seafood feast on Good Friday, but watch your portions. Fill up on fresh salads (hold the aioli dressing). Remember, everything in moderation. So, that’s one hot cross bun; not four. Plan Ahead: Don’t forget to stock up on fresh produce before your local Woolies closes for Good Friday. And when you catch up with friends and family, offer to cook a dish or two so that you know exactly what you’re eating. Instead of processed snacks laden with additives, preservatives and sugar, reach for real food. Also make sure you’re well hydrated – we often mistake thirst for hunger. No Guilt: If you’re going to grab an Easter treat, think quality over quantity. Choose dark chocolate (at least 70% cocoa) over the cheap and nasty Easter eggs filled with sugar and palm oil. If you do overindulge, shake it off with some exercise. Psst! The best time to break your diet is immediately after a strenuous workout while your metabolism is still firing.